Conveniently store your shower accessories and toiletries with this Echelon shower locker. With four integrated shelves, this well-proportioned, one-piece design accommodates users of all different statures. Available in an array of KOHLER colors to compliment any bathroom decor. Luxury Drains Linear Shower Drain Tile-in, 47 inch. Luxury Drains Liner Shower Drain Solid Grid, 47 inch. 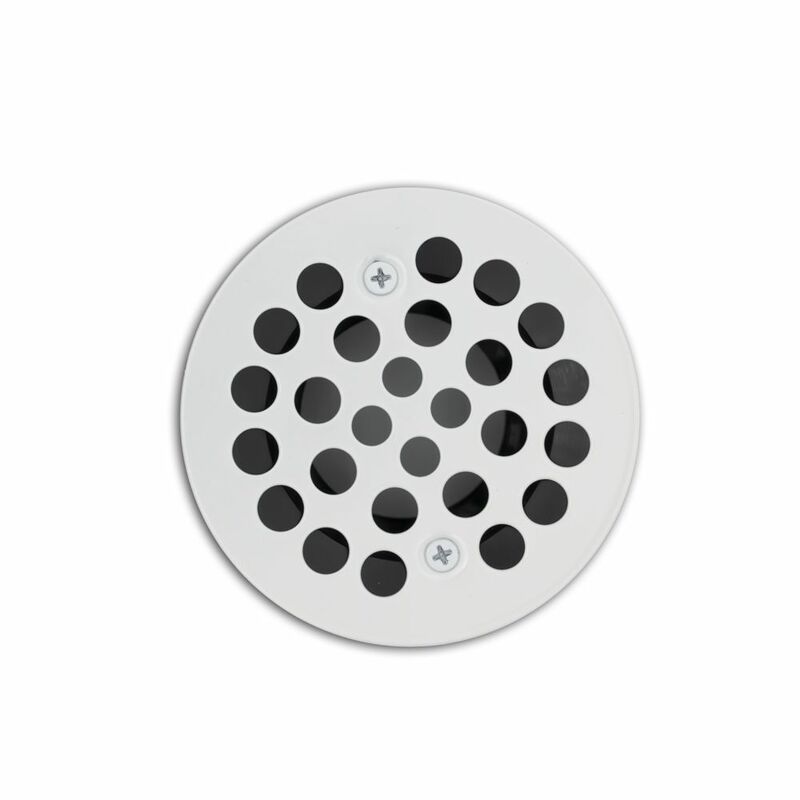 White Shower Drain With classical patterned appearance, the Valley Shower drain is a perfect, cost effective solution for your shower drain.